Q.I met a man seven months ago. We’re both in our 70s. He told me immediately that he has been separated from his wife for 10 years and has had one other relationship since. He wanted to be totally honest with me. On several occasions he has invited me to family events that included his “wife,” who is completely aware of our relationship. FYI: She has lived very far away since they have been separated. He tells me all the time that he’s in love with me, I’m perfect for him, and that he wants to move in with me. His whole family embraces me with such friendliness whenever we get together, even when the “wife” is present. He says no one holds anything against me or says anything negative about our relationship. His grown children appear to be very comfortable with the situation. He has told me he sees no reason to get a divorce. I’m not clear on why, although it appears to me that he just doesn’t want to pay for an attorney and go through the process when it doesn’t matter to him. I’m traditional and feel odd about it. So do my own children. My son has said that I am in an adulterous affair. I love this man and he makes me very happy. I’m not sure I would ever marry again anyway, but should I continue to see him? Or give him an ultimatum? A.No ultimatums, please. And tell your son to back off. There are no secrets here — you’ve even met this man’s wife. Your son should be more concerned with your happiness than the divorce paperwork. You should continue to see this man because you love each other, and that’s fantastic. But it is time to have a talk with him about why his marital status makes you feel weird. Maybe your discomfort will inspire him get a divorce. It’s possible that he’s never had a strong reason to consider it. Overall, this man’s arrangement doesn’t raise any big red flags, but everything changes if you decide to move in together. If you’re sharing a home, you need to understand the finances and feel like the primary partner. You have to be comfortable doing things like getting the mail (I assume it’s still addressed to his wife). It’s an odd arrangement. If you stay together, it seems like this needs to be dealt with. For instance, how will this affect stuff like health care proxies, social security benefits, etc. down the road? My neighbor was not with his wife for 50-plus years. The story was that his wife didn’t want to divorce. He had the same “girlfriend” throughout those 50 years. The wife died a few years ago, with the obituary describing them as a loving couple. It was all for show. He married the girlfriend after the wife’s death and she passed away shortly after. When he dies, he will be buried with his first wife because his family will keep up appearances. This behavior amazes me. At your age, you are worried about the paperwork? Live your life while you can! Tell your son to shove off. Not to be a bore, but this kind of paperwork should be a concern at any age if you are considering a serious relationship. Financial surprises are not good. I am in a similar situation where I share a home with a boyfriend who said he was soon to be divorced, it has been 5 years. Over the years many secrets have come to life such as his wife (he is still married) is covered on his health insurance, automobile insurance and is the benefactor for his life insurance. He has also paid his wife her share of the home they once shared that I am living in. As the years go by I am less and less comfortable with the arrangement. The way I see it, he is still taking care of his wife while I feel like the maid and roommate. I don’t have any real advice for you but for me the situation is taking its toll. 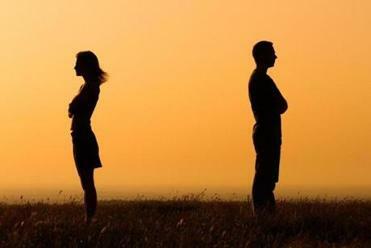 You may want to discuss the reasons for not seeing a need for a divorce. I would not make any further commitment to a married man even though they have been separated for 10 years, especially after only knowing him 7 months. He is still married and technically, your son is correct. Meredith is right, it’s time for a talk to see where this guy is really at. Don’t ignore your gut feeling. Good luck.